Poke, the traditional Hawaiian snack of raw fish seasoned with soy sauce and sesame oil, has hit the mainland. 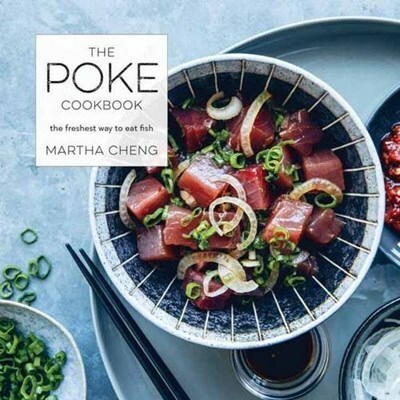 On the islands, it’s the casual dish that brings everyone together—but now you can bring these flavors into your own kitchen with 45 recipes for traditional poke, modern riffs, bases, bowls, and other local-style accompaniments. From classic Shoyu Ahi to creative Uni, Lychee, and Coconut to vegetarian Mango and Jicama, poke is delicious, simple, and endlessly customizable.